Learn how to win at work, succeed at life, and lead with confidence. Are you a team leader or manager with too much to do and not enough time? Do you feel lonely and like no-one can help you? Maybe you don't like confrontation or dealing with difficult people. Maybe you're the only wahine Māori in your team or organisation and no-one listens to you. Or maybe you don't have the confidence to speak up in meetings, voice your opinions, present your ideas and offer your contributions. All across Aotearoa I've helped wāhine like you take their leadership to the next level. We start by helping you get clearer on who you are, what you stand for, and why your work matters. As a result, many brilliant and talented wāhine have learned how to claim their personal power, discovered their signature leadership presence, and positioned themselves as wāhine of influence and impact. They've learned how to be heard, share their knowledge and expertise, and motivate people without feeling uncomfortable about self-promotion or resorting to micro-management. For companies, it makes good business sense for more wāhine to occupy leadership roles in organisations. We make up half of the population, we have the qualifications, the competence and the experience. We have the ambition, we are driven, and we care. Studies have shown that the financial performance of companies improved when there were wāhine in their leadership teams. While both tāne and wāhine are equally capable of truly great leadership, my research showed that wāhine can be very different in how they operate as leaders, promote their talents, and seek opportunities. One of the findings revealed that wāhine don't take the time to step away and gain clarity about their strengths, focus, or direction. They're too busy working and getting things done. The problem is that when they have their heads down, more often than not, they miss what's happening in their environment. When they put off attending networking events because they're "too busy", they don't build the network of support and connections that could help them in their current or future roles. Thus missing out on potential opportunities, expecting their work to speak for itself. This rarely works. 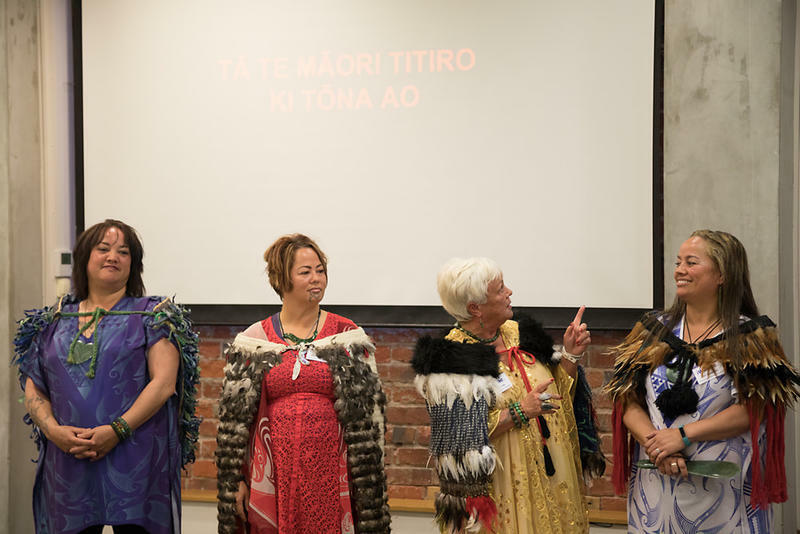 iWahine NZ was established to provide a platform for wāhine Māori looking for inspiration, leadership, connection and support. iWahine NZ is the only wāhine Māori leadership development company providing mentoring, coaching, facilitation and training for wāhine Māori. You will be challenged to think about your identity as a leader, consider where you need to focus your development, and then work intentionally to make it happen. What's the meaning behind iWahine? 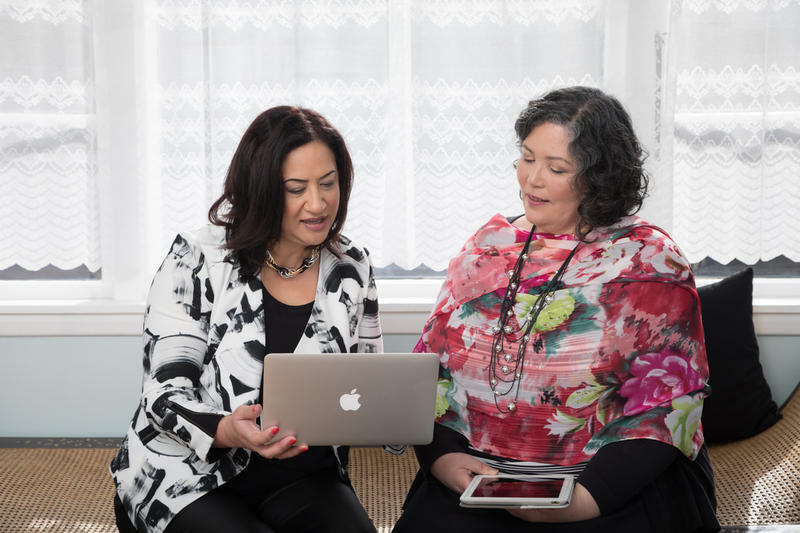 The name iWahine NZ represents the modern wahine who is firmly and proudly Māori and embraces technology. She acknowledges her past and the great leadership of those that walked before her but she wants to express herself, in her authenticity, in today's and tomorrow's world. The "i" (pronounced as in "eye") represents her potential to design, develop, and sell (products, services and ideas) as an indigenous wahine using technology. The 'i" stands for inspiration, influence and impact. From a Māori world view, the "i" (pronounced as "e" in English) acknowledges wāhine as descendants of Hineahuone, the first human created. 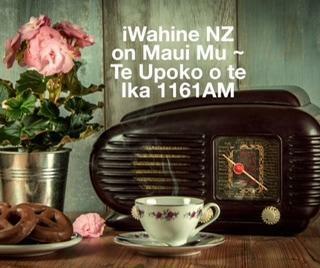 Isn't it fabulous that the name iWahine brings together the two different cultural perspectives and our divine feminine identity with technology? Thus, representing the evolving and overlapping worlds that we constantly navigate. Mauri ora! Supporting wahine-owned businesses to grow and achieve real business results. Our goal is to increase the number of successful wahine-owned businesses one business at a time. Supporting wahine to develop their careers based on their desires, core values, key strengths and skill set. Our goal is to increase the number of talented wahine in executive positions and on boards. 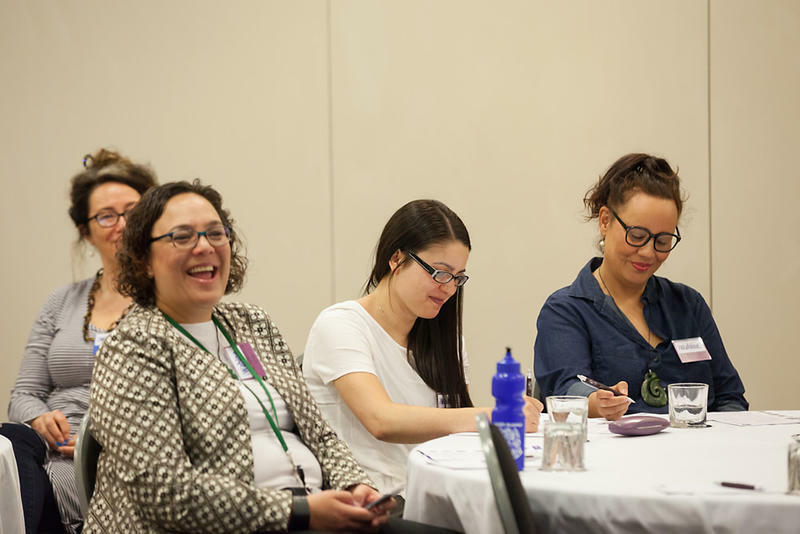 Supporting wahine to enhance their authentic leadership skills in preparation for opportunities to lead in their business, their professional and personal lives. We believe more Wāhine Toa (women leaders) are needed to step up alongside our tāne and bring balance and harmony to the world. The wahine toa of today and tomorrow needs to be prepared to take on challenges, see around corners, build a diverse network of relationships, be comfortable with change and open to learning. And despite all the self-doubts, fears, and limiting beliefs, take control of her destiny; her career, business, health, relationships and life. Our future generation needs you. Be the courageous wahine who takes responsibility for where you're at and chooses to create, rather than respond to, circumstances. Be comfortable about going after what you want without having to compromise who you are. Realise that you shine the most when you are your natural (authentic) self and true to yourself. Recognise that what you think and how you feel drives your actions which produce your results. If you want to change your results, start by changing your thoughts. Set healthy and realistic boundaries. Don’t aim to please everyone else. Rather aim to be the best version of you. Ignore all the naysayers around you who are afraid you will succeed. Remember, what people think of you is none of your business. Speak up, speak out, and speak truthfully. Make no apologies for your strength. Take good care of yourself because when you do, you give others permission to do the same. Support and uplift others - always. When you lift up others, they will lift you up. Take action and be the no-compromise-kind-of-wahine who values her integrity, confidence and self-worth and doesn’t change who you are for anybody. Embrace your personal power, knowing when and how to get the balance right between being assertive (when focusing on the kaupapa) and compassionate (when communicating with others). Be the wahine of influence and impact that inspires others.